A higher tick size for a stock can encourage market makers to trade a stock. 1. What Is the Difference Between Bid Size & Ask Size? 2. How Does Bid & Ask Work in Stock Trading? 3. Who Buys Stock That Is Sold on the Market? The tick size is the minimum price increment a stock is allowed to move while trading on the exchanges. For example, if a stock going for $10 had a tick size of $1, its price is only allowed to change in increments of a dollar to $11 and not to $10.25. For someone who wants to buy or sell that stock, the tick size is the minimum price change at which that investor can update the order. The effects that tick sizes have on the last sale price of a stock and the bid-offer prices are widely debated across the industry. The stock exchanges in the U.S. have come a long way with tick sizes. In the New York Stock Exchange, the tick size was 1/8th of a dollar or $0.125. This means the next tick for a stock trading at $10 was approximately $10.125. In 1997, the tick size was adjusted down to 1/16th of a dollar or $0.0625. A stock trading at $10 would only tick up to approximately $10.0625. In either case, the tick sizes created bid-offer price spreads that were welcomed by market markers. It provided them a wide enough spread or profit margin for trading the stock between ticks. In 2001, the stock market moved from a fraction-based system to a decimal system of trading. The stock price increments moved in pennies. This means the next tick of a stock trading at $10 was either $10.01 or $9.99 in either direction. According to the Securities and Exchange Commission, the smaller price increments had an effect on the bid and offer prices. Specifically, it created tighter spreads. Also, the quoted depth -- which shows the different prices and share quantities displayed in the market -- was reduced. Market markers have been central to the discussion of tick sizes. Tighter spreads between the bid and offer prices make it harder for market makers to make money on the stock they deal in. Where the tick size was 1/16th, for example, a market maker could buy a stock at $10 and sell at $10.0625. But in penny increments, only 0.01 is made on the trade. Along a similar line, some market makers refuse to deal in stocks of smaller companies that tend to have a narrower tick size. In 2013, the SEC favored a pilot program to vary the tick sizes for smaller company stocks to prompt market maker interest and investor activity in such stocks. Volatility shows the variation in the price of a stock. Stocks whose prices vary widely are said to be more volatile, while those that are more subdued are said to be less volatile. The effect that tick sizes have on the volatility of stocks has also been a topical issue. According to the SEC, the move to decimalization had both a short- and long-term effect on stock prices. Particularly, a narrower tick size increased volatility in the short run. Investor confidence was further undermined as other orders stepped ahead of theirs in the exchange execution queue by using penny increments. Victor Rogers is a professional business writer who started his career as a financial analyst on Wall Street. He later expanded his experience to content marketing for technology firms in New York City. Victor is an alumnus of St. Lawrence University, where he graduated with honors in economics and mathematics. What Does UNCH Mean in Stock Prices? What Does the Amount Number Mean Next to the Ask & Bid Price of Stocks? 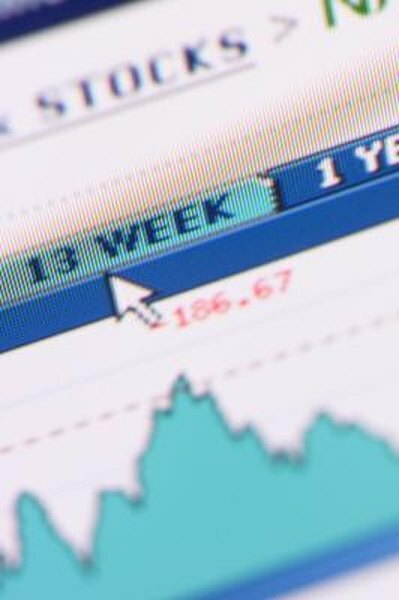 What Do the Numbers on the Stock Exchange Mean? What Does Bid Size Mean? Can I Buy Stocks on NYSE Selling for Less Than One Dollar?